Green, blue, and yellow launching next week. The Nintendo Conference DS software line-up video opened opened by showing several colours of DSi models. Three of these colours will be available in Europe from October 8. The green, blue and yellow colours will be released additions to the DSi XL range. Nintendo of Europe also released an updated schedule for the holiday season. ASCII Media Works brings the gaming world its first 3D fishing experience. ASCII Media Works has announced Fish On for the 3DS. As the name would imply, Fish On is a fishing game. 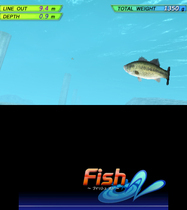 It allows players to fish for various real-world fish using a selection of lures. The screenshots released show underwater images of various fishes, fishermen in boats, and various structures that the player will presumably be able to fish around. Care for your camels, elephants, and more. One of the original titles announced for Nintendo 3DS today, Marvelous Entertainment/AQ Interactive will release Animal Resort in spring 2011. In this zoo life simulation, you find yourself inheriting a zoo from your grandfather. Starting with one elephant, you build up your zoo to attract more and more visitors each day. Eventually, over 100 animal species will be available for your care. The planned 2010 release for Japan was moved forward. At their press event Wednesday, Nintendo announced that the 3DS would be launching February 26, 2011 in Japan and in March in Europe and North America. Many analysts had predicted a 2010 release for Japan, and possibly for other regions. 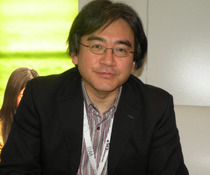 Nintendo president and CEO of Nintendo Co. Ltd. said the 2011 date was chosen due to supply constraints. Dual stylus action for these 3DS sports. Coming up from Namco is Table Pen Sports, a Nintendo 3DS title that requires you to play with two styluses at the same time and coordinate your actions for sports such as archery and soccer goal shooting. The action is displayed on the top screen while the bottom screen is used for controlling the action. The double stylus control means that the handheld must be placed on a desk while playing. More games in development for 3DS. Konami's announced titles for Nintendo 3DS are now at a total of four for today. Metal Gear Solid Snake Eater was revealed at E3 2010. In addition to that, Asphalt 3D, Project Love Plus for Nintendo 3DS, and Professional Baseball Spirits were announced for 3DS. Scheme uses the Wii Remote and Nunchuk, and is similar to GoldenEye 64's controls. GoldenEye for Wii is going to feature an accessible control scheme that echoes the original game's controls. In the scheme, you use the Wii Remote and Nunchuk, but you don't use the sensor bar. The Japanese 3DS launch date, price, and titles were finally unveiled at the event. Nintendo President Satoru Iwata began the event by stating that Pokemon Black and White has reached a new sales record, with 2.55 million copies in its first week, and that based on Club Nintendo register data, adults as well as high school students are enjoying the title. Nintendo is partnering with Japanese communications companies to bring connectivity. Along with the news of StreetPass, the 3DS version of Tag Mode, and SpotPass, which allows for automatically receiving updates from WiFi hotspots, Nintendo have announced partnerships to make these features more widely available. A set of six cards will be included for launching pre-installed software. The Nintendo 3DS will come packed with the console, a charging cradle and AC adapter, a telescoping stylus, a 2GB SD card, and also a set of six cards that are used to activate pre-installed augmented reality (AR) games from the 3DS. The platform game is an original title for 3DS. Continuing with third party Nintendo 3DS announcements, AQ Interactive are bringing an original platform title, Cubic Ninja, exclusively to the console. Initial images show a small cube-shaped Ninja navigating obstacles such as spiked floors to reach the end of the level, encountering a large cube-shaped monster with sharp teeth along the way. Fiscal year hardware forecasts revise sales expectations. For the fiscal year ending March 31, 2011, Nintendo's hardware forecasts for investors show that they expect to sell a total of around four million Nintendo 3DS consoles. 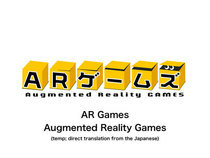 The 3D puzzle title will be released by Sunsoft. Sunsoft today announced Shanghai 3D Cube, a 3D cube version of the Mahjong tile-matching game. The tiles are arranged in three-dimensional shapes, and players must match two titles to remove them, with the goal of removing all tiles from the screen. A 3D game mode uses depth for the visuals. A new entry to the series for 3DS. Hudson Soft's sole Nintendo 3DS title announced today is Deca Sports Extreme, exclusive to 3DS. Deca Sports Extreme will be the latest in the series, with ten sports, including soccer, tennis, wrestling, and trampoline. Games can be played by one to four people. 25th Anniversary versions will be released in October for Japan. As part of their ongoing celebration of Super Mario Bros. 25th Anniversary, Nintendo announced Super Mario Bros. 25th Anniversary DSi and DSi LL (DSi XL) systems. The DSi LL is red and is emblazoned with the gold outline of a mushroom, fire flower, and star on the top cover as well as the text "Super Mario Bros. 25th Anniversary." Rather than a line of power-ups, the regular DSi features Mario jumping over the camera sensor. Super Monkey Ball 3D, Sonic, and more expected by March 2012. Sega's Nintendo 3DS annoucements today are that six games are currently in development and will be released by the end of the 2011 fiscal year (March 2012). The PlayStation 2 Tales game will be remade for 3DS. Namco Bandai annouced today that they are bringing the Tales series to Nintendo 3DS. Tales of the Abyss was a Playstation 2 title, and will be ported for 3DS. There are no other details so far, but the game is due in 2011. Bubble matching with 3D depth and Gimmick Bubbles. Intrepid dinosaurs Bub and Bob are set to make their Nintendo 3DS debut in Tobidasu! Puzzle Bobble 3D. Square Enix will bring the the title to 3DS this spring. The 3D screen will be used for "Gimmick Bubbles", and from the screenshots, it looks like characters from the bubbles that are popped float down to the screen below. A new trailer shows two StreetPass features. The official game website now has a video showing two new features of the Nintendo 3DS title (click on the Super Promotion Trailer link). Capcom announces Resident Evil: The Mercenaries 3D. A second Resident Evil title for Nintendo 3DS from Capcom has been revealed. 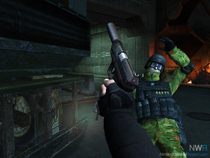 Resident Evil: The Mercenaries 3D is a spin-off title with a series of timed combat levels where players compete against the clock to defeat as many enemies as possible.